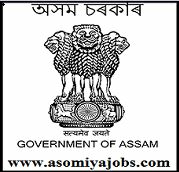 Assam State AIDS Control Society, invited eligible and interested candidates to fill up the following post at North East Technical Support Unit under Assam State AIDS Control Society, Khanapara,Guwahati-781022 on contract basis for a period of one year and may be extended based on performance appraisal. Qualification: Master in Sociology, Social Work or other equivalent degree. Experience: 5 years experience in a supervisory role in the development sector. Experience in managing a TI for one year is a must. Working knowledge of local language is a must. Must possess excellent written and oral communications skills. Must have team management, conflict resolution and problem-solving skills.